There is something else in common between the two logos, the word League. So the question becomes, is it the management of MLB or their lawyers who are trying to decide if they own the word League, or can get away with claiming so? Or maybe they think people will know that they are different and assume that MLB is the "Underwatched League." What ever happened to people being flattered by an homage? Now everyone's just looking for a reason to get pissed off. 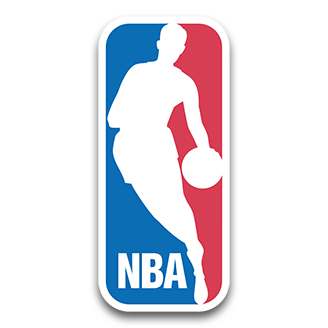 According to the designer, the NBA logo is a direct derivative of the MLB logo. That's interesting. Gut I have seen many logos over the years that use similar design features. It's part of the nature of a simplified logo, especially if you didn't want to have to print in sixteen colors on stationery and business cards and equipment. But are we confused by the logo of North American Moving? The NFL logo has a similar simplistic design with similar colors. Not sure how a running silhouette with a gun is close to confusing with a static silhouette with a bat watching a ball. 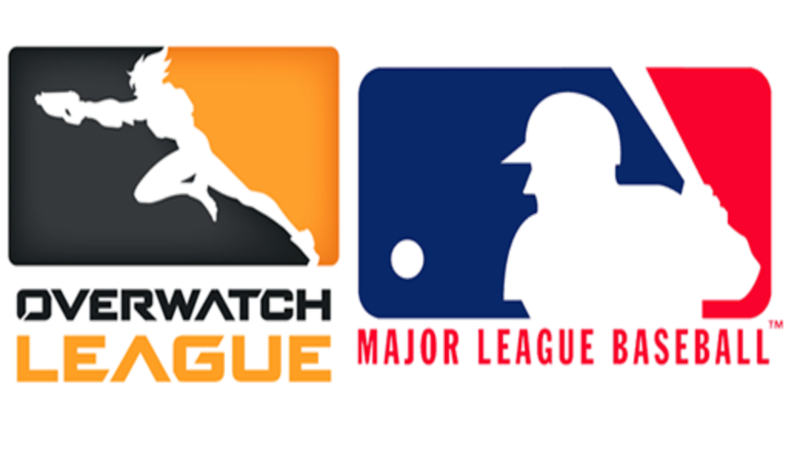 Unless MLB is planning on creating a 3rd league called Overwatch and have already filed that application, don't see any confusion there either. Maybe they are planning on spinning off a Pro Thunderball league? The NBA logo actually does more for the MLB logo than it hurts - specifically making that style the unofficial style for major league sports in the US. With the NBA logo already out there with the same style and nearly the same colors means that the Overwatch logo isn't even in the same league. It's got some similar features, but not enough to make it matter. MLB can mull all it likes, but I can't see them standing a chance here. Even game MLB tries to claim it has complete control over the facts of the game. Here’s how one person had a little fun with it. Reminds me, 'It is better to ask forgiveness than to ask permission'...depending on which litigious asshats you intend to need permission or forgiveness from. The overwatch logo might remind one of a fielder chasing down a fly ball... But it took me quite some time to dream that up. The colors, etc.... nope. I'm not confused. Perhaps the MLB lawyers need their own logo: the shape of the base paths joined and turned on it's side: a square! I hate having to ask for clicks, and don't whinge about the quality either. Enjoy! Can't see if my image posted, so here's the link instead. I know, I know, but really, this had to be done. Also the old Indy Racing League had a blue / red silhouette logo. Anyway, nobody would ever confuse Overwatch with baseball. I mean, they are totally different demographic groups. Just a heads-up, you used an outdated version of the NBA logo. They updated it this summer. While true, it's really not significantly different for the purposes of this commentary. Plus, the issue would be how long the old logo and the MLB logo have co-existed for so long without issue, so the new logo would be irrelevant to this story in any case. Fun fact, the NBA used Jerry West as the silhouette of the shooting player. The infringement is clearly the rounded corners.